Hilarious police dash cam video!! I Can’t Believe We Made it! Hi everyone!! I hope you are having a blessed day. This is a short video from Bart Mitchum that just made me think. If you grew up in the 1950’s through the 1980’s this is a tribute to you making it to adulthood. I hope this video gets you thinking how these little things will make a difference in this world. I hope you find this as inspiring as I did. One person at a time, we CAN make a difference! Here is an awesome article written by Josh Zumbrun of the Wall Street Journal. Money may not buy love, but it appears to buy years. 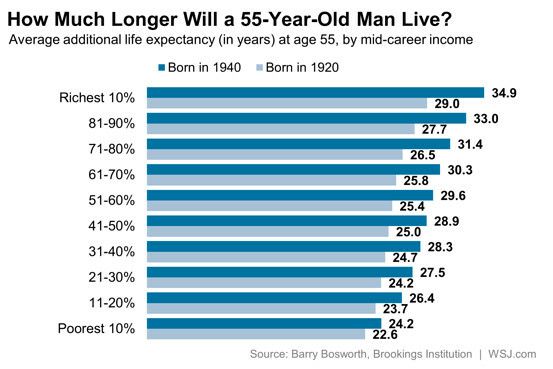 Economist Barry Bosworth at the Brookings Institution crunched the numbers and found that the richer you are, the longer you’ll live. And it’s a gap that is widening, particularly among women. The story is rather different for women. 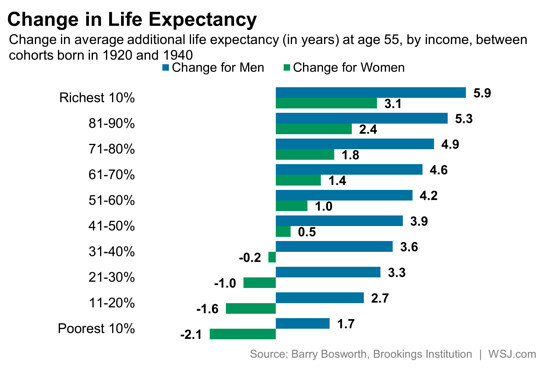 At every income level, for both those born in 1920 and 1940, women live longer than men. 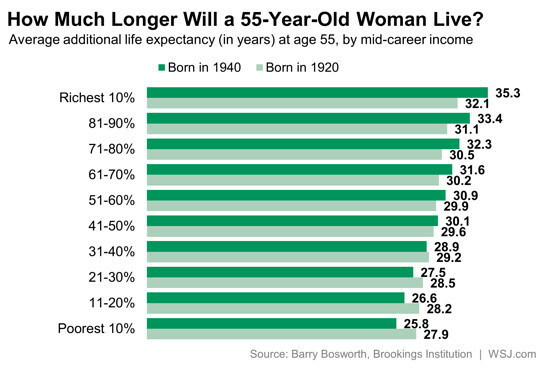 But for women, the longevity and income trends are even more striking. While the wealthiest women from the 1940s are living longer, the poorest 40% are seeing life expectancy decline from the previous generation.